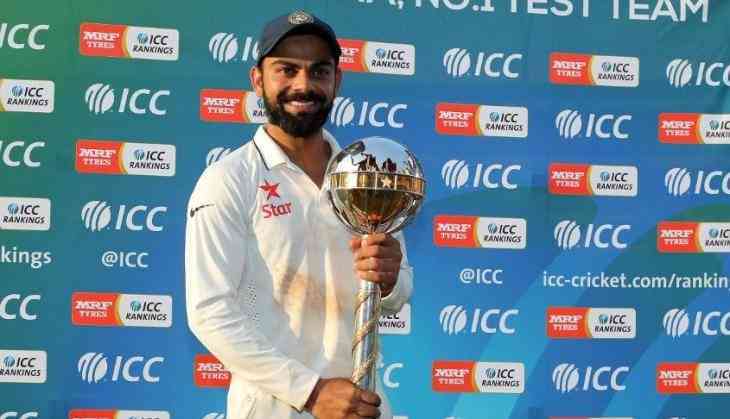 India retained ICC Test championship mace for the third consecutive year finishing above New Zealand on points table as of April 2019. India has 116 points while the second placed New Zealand has 108 points. India won the one million dollars prize for the third consecutive time since 2017. “Our team has a lot of depth and I am sure this will stand us in good stead once the ICC World Test Championship commences later this year. That is again something we are really looking forward to as it adds more context to Test match cricket,” Virat added. In recent past, India have proved that they are a force to reckon with in Test cricket. Since 2009, India have held the championship mace for 52 cumulative months. Australia is at number one with 83 cumulative months since 2003. READ NEXT >> Nach Baliye 9: Will Kareena Kapoor Khan judge Jennifer Winget's hosted reality show along with Shahid Kapoor and Mira Rajput?